Each of the women were, of course, both loved by and deeply wounded by John F. Kennedy. Both were, in their way, infantilized women; both depended upon men, like JFK, for their sense of identity; and both sought the protection of rich and powerful men. Both even spoke in baby whispers, although, of the two, Jackie was granted a life long enough that she ultimately outgrew both her whisper and her mid-century concept of womanhood. 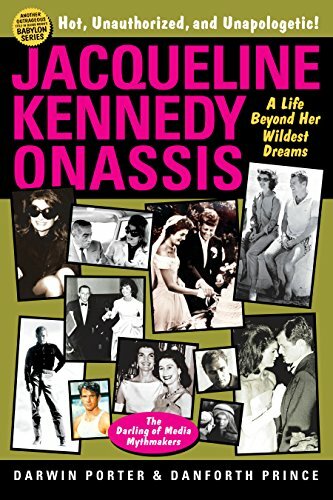 Jacqueline Kennedy Onassis is in many ways the successor to all the other Blood Moon biographies. But in an important way the book breaks new ground and presents special challenges to its authors.